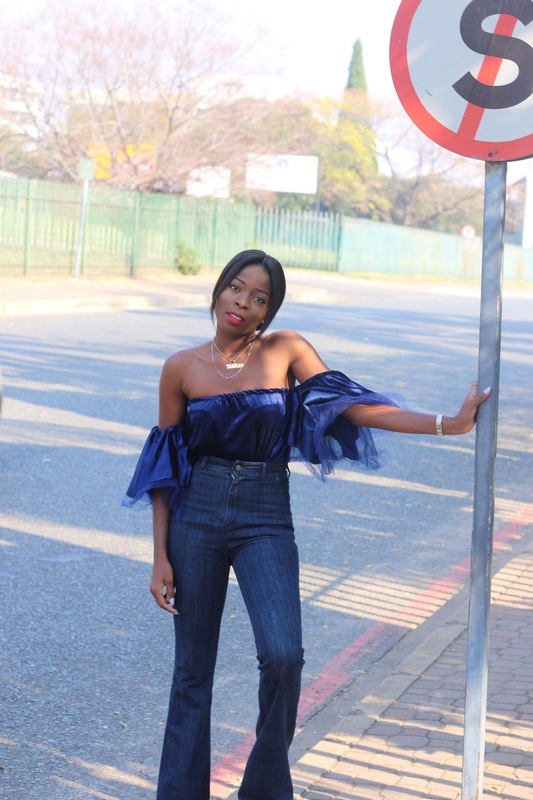 I am quite obsessed with this off shoulder trend. Any excuse to bare my shoulders is a big win for me so why not. 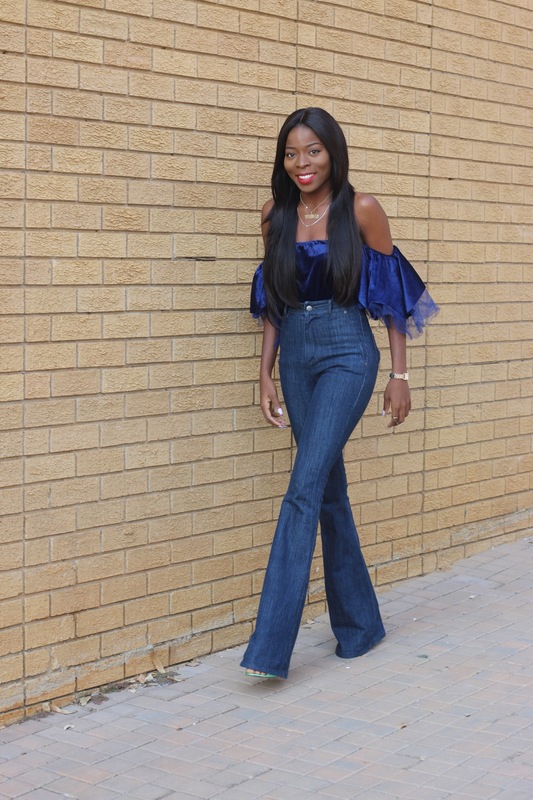 This velvet number is from Maju & my beautiful high waist flare jeans from AD by Agbani Darego is my all time favourite denim. I strongly believe Ms Darego had me in mind while creating this piece because it suits me perfectly, the length is everything. I’m off to continue my work as I have a lot of commitments this weekend. 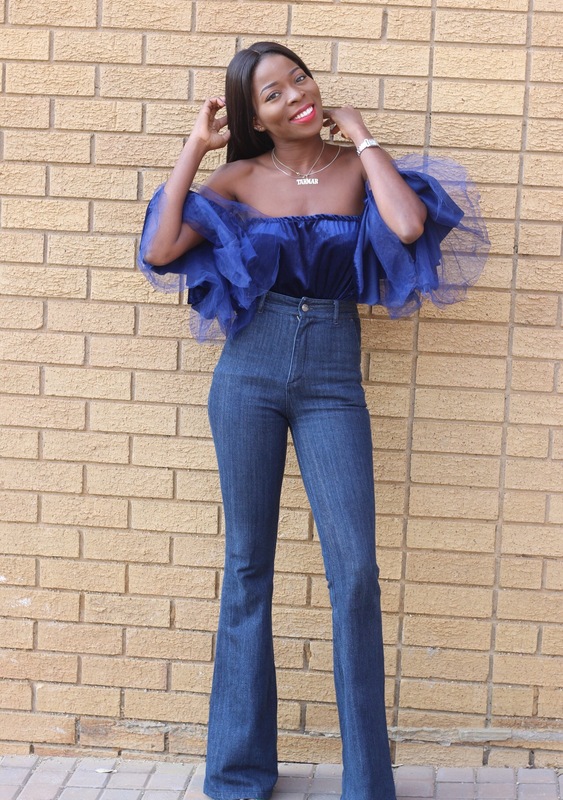 Pls let me know your thought on this outfit. 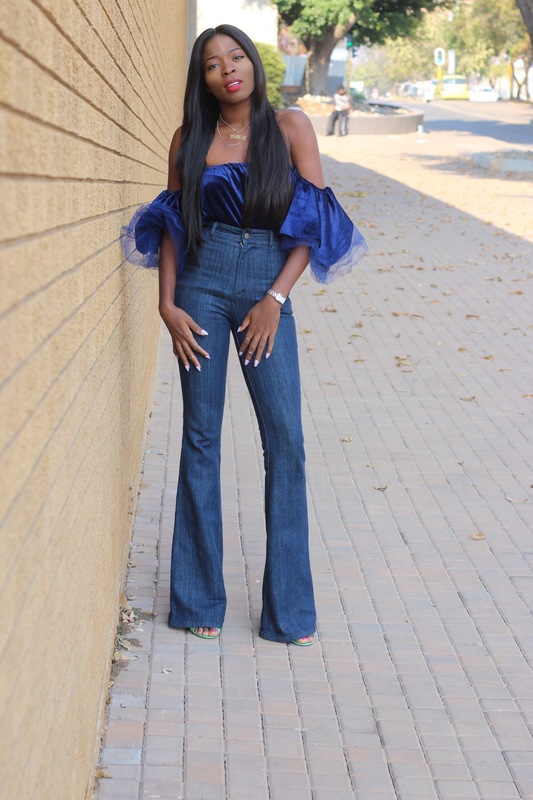 This entry was posted in Fashion, Uncategorized and tagged blogger, fashion blogger, fiolakemi, flare, high waist, maju, melanin, off shoulder trend, retro, retro religion, street style. Bookmark the permalink.